In this special beer blog, we are going to get into another beer from New Belgium’s Fat Tire and Friends. It is a beer that New Belgium did with Firestone Walker Brewery. It is Fat Hoppy Ale. If you read my earlier beer blog posts on their both of these craft breweries, you know the history of both of these craft breweries. If you have not, please, read them to get to know New Belgium and Firestone Walker. Let us get into this hoppy amber ale. It has a clear copper to light amber color with a white constant head. The aroma has a malty notes. The taste has a sweet malty, biscuit, to citrus notes. The aftertaste has a bitter citrus hop finish. It is not as drinkable as rest but still a crush-able beer. A happily hopified Fat Tire thanks to our California friends. First, they created an assertive hop presence and then they added a lager yeast to the Fat Tire recipe. The result? 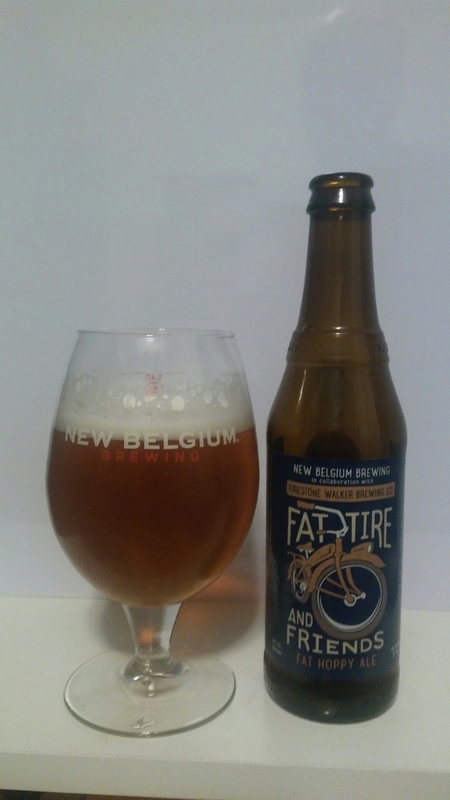 A hoppy amber lager version of Fat Tire with an amplified American hop aroma and flavor. Time for you to hop on this Fat, too.